My New Obsession: Aquarium Nails! 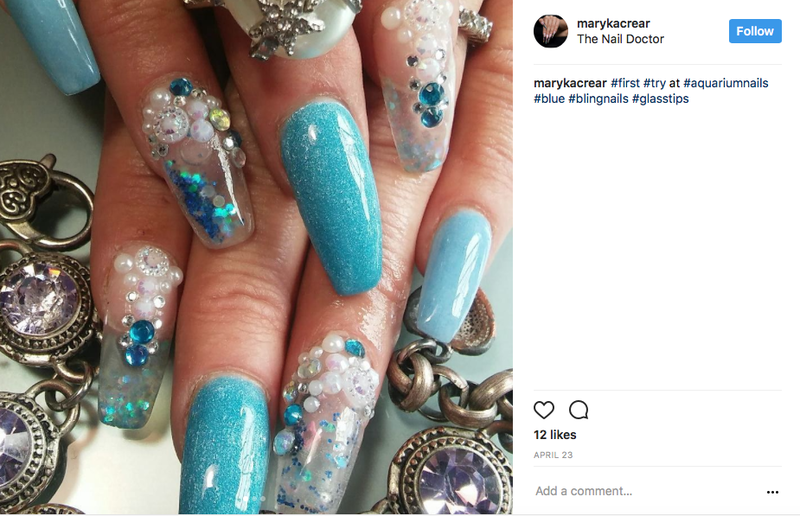 I recently came across an article talking about aquarium nails and my interest was peaked. Now I'm normally I'm a no fuss kind of girl when it comes to my nails. A couple of coats of nail polish and I'm good. I hardly ever have my nails professionally done. I would be lying though if I said that I didn't enjoy getting my nails done. There's just a special kind of feeling you get, having your nails freshly manicured. 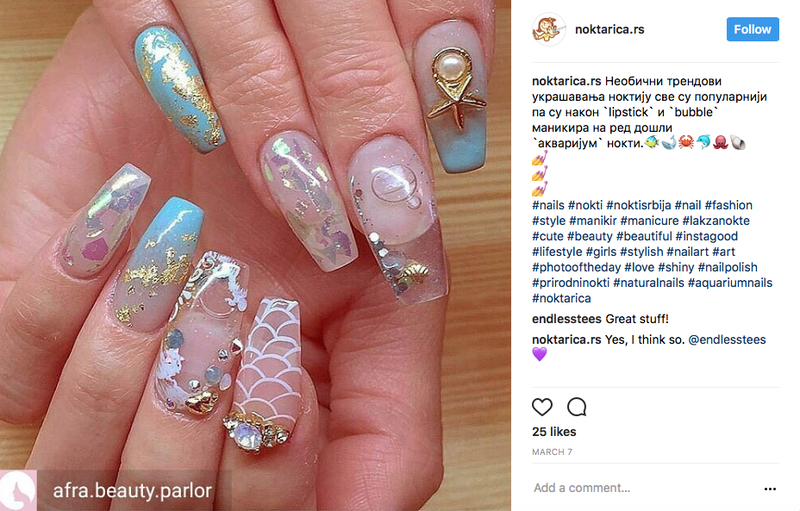 As far as all the nail trends that we've have within the past year (think stiletto nails etc. ), I really am not the type to run out and have something done just because it's the new "it" thing. However, when I saw this article for aquarium nails, I suddenly felt that I had to have these done right away. 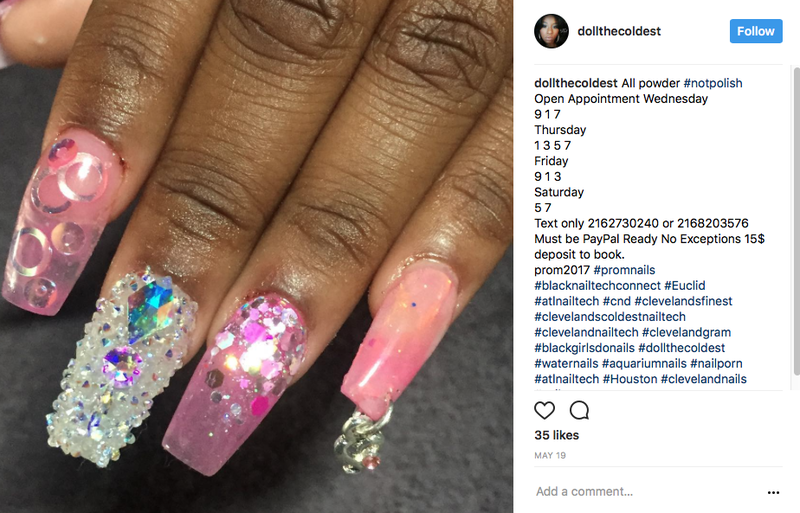 If you haven't heard of aquarium nails, they're a sort of new phenomenon in the nail world where a double paned acrylic is injected with some type of oil and then glitter is sprinkled into it to make it look as if the glitter is floating through your nails. Hence the aquarium name. I know some of you might not like this new trend, and that's okay. Everybody has different tastes. I just think these are cute and fun and I would definitely like to try them out myself. To give you more of an idea of what they look like, I've decided to include pictures of my favorite ones that I've found on Instagram and other places online. Like I said, I really like these and think they're cute and fun, but I realize they may not be everybody's cup of tea. Thank you so much for reading and I hope I see you back here Friday for a new Friday Favorites! 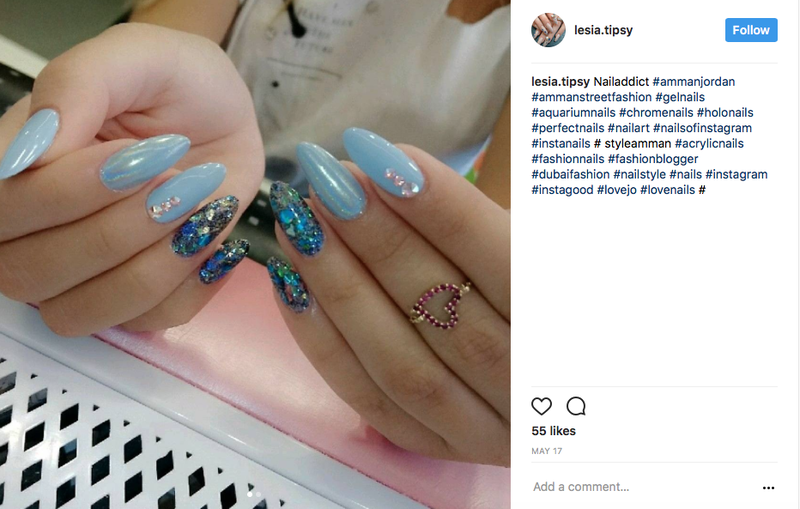 What do you think of Aquarium nails? Tell me below! I've never seen these before! I would be scared the jewels would come off but interesting look!!!!! I've also seen those bubble nails....lots of new trends!! Definitely not my cup of tea but they are very cute! I definitely can not handle these types of nails...I cannot do long nails for the life of me and nail polish....yeah, that won't last either. I think the aquarium nail in the second picture pairs nicely with coral color the girl is wearing on her other fingers. I don't think my nails would stay that way for more than 2 minutes. I'd chip off a gem getting in my car immediately after leaving my manicurist! Those are really cool! I am just not brave enough to do acrylics, as they ruin your finger nails. Mine are so not strong anyway. Thanks for sharing , !